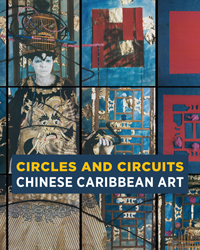 This catalog accompanies the exhibition Circles and Circuits: Chinese Caribbean Art, presented in two parts: History and Art of the Chinese Caribbean Diaspora at the California African American Museum and Contemporary Chinese Caribbean Art at the Chinese American Museum. The exhibition is part of the Getty's initiative Pacific Standard Time: LA/LA, a far-reaching and ambitious exploration of Latin American and Latino art in dialogue with Los Angeles. Presenting a wealth of rarely seen artworks, archival materials, and scholarship, the exhibitions and catalog shift the frame of critical discourse on Chinese Caribbean art history and visual cultures. Circles and Circuits: Chinese Caribbean Art offers a foundational introduction into Chinese Caribbean art and its global context. Published by the Chinese American Museum with the assistance of the Getty Foundation and distributed by Duke University Press. Alexandra Chang is Curator of Special Projects and Director of Global Arts Programs at the Asian/Pacific/American Institute at New York University and the author of Envisioning Diaspora: Asian American Visual Arts Collectives, from Godzilla, Godzookie, to the Barnstormers. Steven Y. Wong is Curator at the Chinese American Museum. Mar Hollingsworth is Visual Arts Curator and Program Manager at the California African American Museum Evelyn Hu-DeHart is Professor of History and Director of the Center for the Study of Race and Ethnicity in America at Brown University.